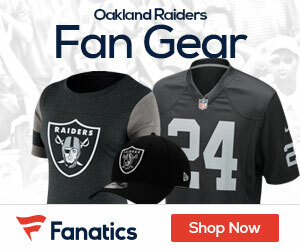 Raiders head coach Hue Jackson said Tuesday that receiver Jacoby Ford sustained a hamstring injury and free safety Michael Huff a groin injury in Monday night’s win at Denver. Their status, as well as that of injured tight end Kevin Boss and strong safety Mike Mitchell, will be discussed after Wednesday’s practice, Jackson said. Jackson promised fans he will solve the penalty issue (15 against the Broncos), and thought the offensive line and defensive line played liked bullies. If they play like they did last night, “we’ll win a lot of games,” Jackson said.